The BenQ HT2050A ($749) is a small step up in price from the eight home theater projectors we just reviewed, but it is a significant step up in picture quality. It delivers noticeably darker blacks, higher contrast, and a better sense of three dimensionality with 2D images than those eight models in the $499 to $650 price range. Brightness is one of the HT2050A's strong points. It is rated at 2200 ANSI lumens, and we measured it at about 1840 in its brightest factory preset. Unlike many projectors that tend to look excessively green in their brightest modes, the HT2050A's color at maximum brightness is within a realistic-looking range. As a practical matter, that makes it more usable in high brightness mode than many projectors that measure even brighter. Even with video optimized settings, the HT2050A is bright enough, at about 1530 ANSI lumens, for as much as a 200" diagonal 16:9 image in a dark room with a 1.3 gain screen or a 125" image with moderate ambient light. However, BenQ says that the focus may be a little soft at 180" and larger. Shorter-than-typical throw ratio delivers bigger-than-typical images in tight spaces. RGBRGB color wheel delivers high quality color, largely because there's no white panel to boost white brightness far above color brightness. Optional Wireless FHD kit available for wireless, uncompressed streaming at up to 1080p 60Hz; WiFi dongle for connection to mobile devices also available. Fixed vertical offset conducive to ceiling mounting, but may be problematic for mounting on shelf behind seating area. Low Lamp Mode. Economic mode reduces brightness by about 33% compared with Normal mode. There is also a SmartEco mode, which isn't an eco mode in the usual sense. It works much like an auto iris to make dark scenes darker, lowering power usage by as much as 70% and extending lamp life. Zoom Lens Effect on Brightness. In the full telephoto setting, the 1.3x zoom drops the brightness by only 6 percent, which is not enough to notice or bother considering when positioning the projector. Video Optimized Lumens. Starting with the default settings for Vivid TV, adjusting the Hue for red and green gives a close match to a reference image without any loss of brightness. It also delivers a dark black along with excellent contrast and sense of three dimensionality. The measured 1528 ANSI lumens may be too bright if you don't want a really big image. It can light up a 180" diagonal 1.0 gain screen in a dark room or 110" with moderate ambient light. Dropping it into its eco-modes will be a good option for those who need no more than about 120" diagonal in a dark theater room. In addition, for smaller screen sizes, the Cinema color preset offers similar picture quality with a little lower contrast at a still bright 1088 ANSI lumens. Vivid TV in Economic mode delivers just a touch lower brightness, at 1021 lumens. The Cinema preset combined with Economic power mode is 726 ANSI lumens--still bright enough for a 140" diagonal 1.3-gain screen in a dark room. Video Performance. The BenQ HT2050A offers a highly watchable image in all of its color preset modes. Color accuracy, contrast, black level, shadow detail, and sense of three dimensionality are all among the best available for a projector in this price class, particularly with the Vivid TV color preset. Color Preset Mode Performance. As with most projectors, the HT2050A's brightest mode has a green bias, but the green shift in this case is so slight that most people won't notice it without comparing it to a reference image. In addition to being within an acceptably realistic range, colors are also nicely saturated. If you need the extra brightness to stand up to ambient light--in a family room during daytime for example--it is easily up to the task. Vivid TV eliminates the green bias and offers even better color saturation. A particularly nice touch is that straight out of the box, the mode's Brightness setting is properly adjusted to show the darkest gray levels possible without brightening the black level, which ensures you get the best shadow detail the projector is capable of. A test image shows that the mode loses only the two darkest shades of gray, turning them to black, which means it will lose a minor amount of shadow detail, but not much. Default settings for Game and Cinema modes are both close to Vivid TV for color accuracy, but not quite a match for contrast and three dimensionality. 3D Performance. The HT2050A supports Full 3D with DLP-Link glasses only, with its strengths for 2D image quality carrying over to 3D. In addition, the HT2050A handles 3D-specific issues well. I saw no crosstalk in my tests and just a hint of 3D-related motion artifacts. There's only one 3D color mode, but you can change many of the settings, including turning Brilliant Color On or Off. On all projectors 3D is always dimmer than 2D. However, the HT2050A's 3D mode does not lose quite as much brightness as most competing models. Brightness uniformity. The measured 61% brightness uniformity is low for a home theater projector, although it is in the typical range for most entry-level models. BenQ says that the lens is identical to the one in the BenQ HT2050 that we measured at 67%, so this may simply be a variation from one unit to the next, or a minor problem with the particular unit we tested. On-board audio. If you install the HT2050A in a home theater or family room, you'll want to pair it with a high quality sound system. But if you need to use the onboard audio, the 10-watt mono speaker offers high enough volume for a large room, with highly usable sound quality and separate audio modes designed for Cinema, Game, Music, and Sports. There's even a User mode that lets you adjust equalizer settings to taste. Fan noise. BenQ rates the noise level for the HT2050A at 29 dB in Normal power mode and 27 dB in Economic mode, but there's no obvious difference between the two when you switch modes, since the fan speed varies based on internal temperature. You can hear the noise as a low pitch white noise in quiet moments from anywhere in a mid size room if you listen for it, but I can hear a similar level of ambient noise in any room of my house on a quiet day. Either one is the kind of unchanging background noise that city dwellers, at least, tend to block out. BenQ recommends using High Altitude mode at 4921 feet and above. In both Normal and Economic lamp modes, it adds a higher pitched overtone and boosts noise level enough to be impossible to miss in quiet moments. If you need the mode, consider installing the projector with some noise baffling material around it. Input lag. The 16.4 ms input lag in Fast mode puts the HT2050A in the front ranks for gamers who want a projector that doesn't slow them down when reaction time matters. All of the ports are on the back panel. You can also add a $399 wireless FHD kit for uncompressed streaming at up to 1080p 60Hz. The kit includes a bracket that lets you mount the receiver unit to the outside of the projector. The transmitter attaches to the source. In addition, you can add a $39 WiFi dongle for wireless connection to mobile devices. Throw Distance. The throw distance for a 120" 16:9 image for the BenQ 2050A ranges from about 10 feet at its widest-angle setting to about 13.1 feet at its full telephoto setting. For the throw distance range for the image size you want, you can use the BenQ HT2050A Projection Calculator. Vertical offset. With the projector sitting on a table and the lens shift in its lowest position, we measured the bottom of the image at roughly 5% of the image height above the centerline of the lens. With the vertical lens shift at the highest level, the offset was about 16% of the image height. The vertical offset will work nicely with the projector placed on low table in a family room or inverted in a ceiling mount. Placing the projector on a higher shelf behind the seats will usually force you to tilt it downward to hit the screen. This is best avoided, since you'll then need to use keystone adjustments to square off the image, which can reduce lumen output, soften edges, and add artifacts to fine patterns in the image. 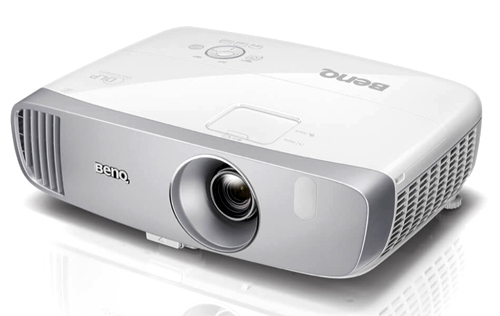 The BenQ HT2050A is an impressive projector for the modest price of $749. It offers excellent color accuracy, contrast, three-dimensionality for 2D video, a solid black level, and top tier shadow detail for the price. The combination makes it an excellent choice for traditional home theater, while the high brightness--and particularly the acceptably realistic color quality in the brightest mode--make it a good choice in rooms with ambient light as well. And it delivers a brighter 3D image than most of its direct competitors. At about 7 lbs the HT2050A is quite portable. And if you want to move it from room to room or out to the backyard for a movie night, its onboard audio provides good enough sound quality and high enough volume to handle the job. If you want a VERY BIG big screen experience, the BenQ HT2050A can provide it. Although BenQ recommends a maximum 180" diagonal image for best sharpness, it is bright enough to go even larger. And for high light levels, the brightest mode delivers good enough image quality to use without a second thought. Finally, for gamers, the 16.4 ms input lag is a convincing argument to pick the HT2050A. For home theater, a family room, setting up in the backyard, and even 3D viewing, the BenQ HT2050A is a solid and competitive value at $749. Hi, M.David Stone or Evan. Do you know if this projector has a different model number in Australia and if so what it is? 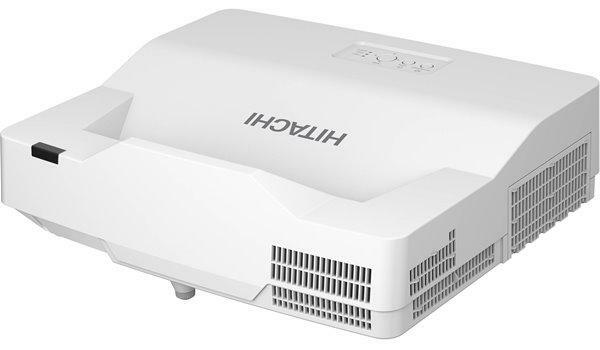 I personally find this practice of different numbers for different world regions to be quite irritating because we projector enthusiasts read your reviews and want to demo these projectors but can't find them without knowing what they are called in our country. A similar problem exists when a new model with incremental changes comes out and you know the basic number change, for example the JVC's RS models in the US and and the X models in Australia, but without the precise number you don't know if you are looking at an older X model or the new model with the improvement. JVC gets even more problematic with their RS models for installers, X models with three digit numbers and X models with four digit numbers for overseas. I don't see why they can't all have the same model number worldwide and just change the serial numbers for the company reference as to what country it is sold to. And while I'm solving these companies model problems: keep it simple. If your new company is called Generica and you release a new projector, call it Generica 1. Your second release call Generica 2, and so on. Problem solved. This Is awesome because today my new 2050A arrived at Bestbuy! I've been using my back up projector I purchased In 06, a Mitsubishi HD1000U 720p with a defective color wheel that whines EXTREMELY LOUDLY. I'm a little worried that the image on the 2050A will be a tad too large since I like to go pretty small for bulb longevity at roughly 85". I'm In for 111" at It's smallest zoom at 12ft throw. I'm happy with the image the Mits produces, so I'm hoping that this new purchase will blow my mind. Hi David, any news from Epson on budget true 4K ?.. Now adays all manufacturers are producing 4k what about Epson? @ Kane, BenQ will begin shipping this model as the W1120 in Australia in end of May or early June. @Jay, Epson has announced a very expensive 20,000 lumen laser native 4K model for shipment this fall. No news on less pricey home theater models. There is still a gap for DLP with 80%+ brightness uniformity in the $800-$1000 range. I disagree with the opinion of this site and anything under 80% as they measured is visible while watching movies, sport events, TV shows. Try to watch Life of Pi on this 61% unit - you will not able to finish it, I promise you. Simon, you certainly have the right to your opinion. However, as a further point of reference, Chris Eberle, another projector expert, and ISF professional calibrator, just gave the Benq HT2050A his highest recommendation. He thoroughly tested the projector using quality industry software. Both of these experts have high praise for this projector. By the way, Chris Eberle is a big LCOS fan. (JVC, SONY) Your generalization could keep consumers from taking a quality step into affordable Home Theater. 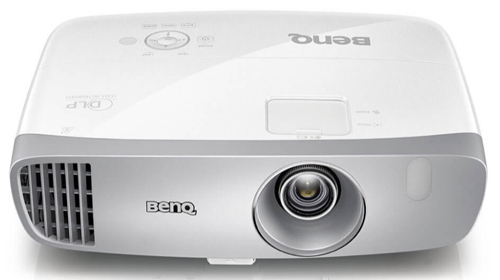 I sell numerous products and technologies, and have enjoyed inexpensive projectors like the Benq W1070. Many people have had tremendous enjoyment watching quality, Big Screen Entertainment from such projectors. Ted Nunn, I have HT2050 my self. It took 3 units to get "acceptable" brightness uniformity for video content. And even the best one is not usable for web browsing for example. But again, I see it on videos, tv shows, sport events and probably my unit is towards 70% since I cherry picked. And that is fine for the $450 I paid for it. But you totally missed my point - give me the same HT2050/A but with 80%+ BU, I would pay $1000 for it. There is just no 1080p DLP units with better brightness uniformity ~ $1000 mark (HT4050 is also bad in this regard). Speaking of brightness uniformity... I just returned my 2050A for that very reason. Last 2050A I could find at bestbuy as well. So now I have to go with an equally expensive 2050 minus the three year warrantee. The 2050A was the worst out of the box DLP projector image I've seen. Almost 30% difference in white from left to right Completely unacceptable. I'm on my fourth unit now. No other unit had this issue except my first BenQ PB6200. Three bad units in a row with that very first issue, brightness uniformity. If I open the 2050 and I see any issue with BU it goes back for a full refund and I'll never go with BenQ again. @ 13Randon ... This is not a BenQ specific issue. And you might want to get your expectations in line with reality. There is a corollary between inexpensive single-chip DLP projectors and low uniformity among all vendors. All of the DLP projectors we just tested under $700 were 60% uniformity or less. Evidently it is difficult to design a cheap single-chip DLP light engine with high uniformity. If they could do it, they would. The high priced single-chip DLP projectors have much better uniformity (the Optoma ZU850 is a whopping 90%, and the BenQ HT8050 is 87%), but when you're down in the cheap stuff, you're not going to get very good uniformity. This challenge is unique to single-chip DLP, as most of the cheap three-chip systems we've seen have better uniformity. 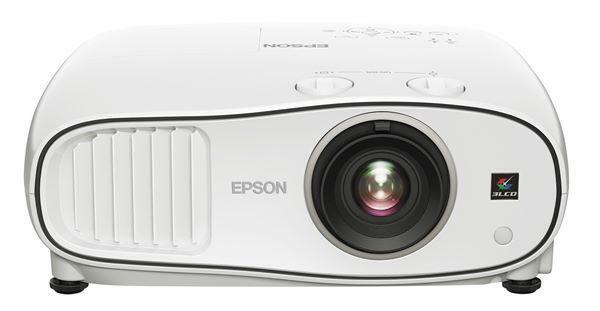 Even the Epson 1060 at $649 measured 79%, and the Epson 2150 is 83%. If high uniformity is your critical hot button, buy a 3LCD machine. At any rate, it is a mistake to blame BenQ in particular--all makers of inexpensive DLP products have this same challenge. Evan Powell, regarding the brightness uniformity - I've been following your reviews for many years and to generalize, you or other reviewers here usually say "Brightness uniformity is not up par more expensive projectors but is not a problem for video content" or something of that nature, that sounds somewhat positive. In fact, it is a problem, much bigger than rainbow artifacts. May be you don't project different content, like brighter scenes, sport events like hockey, even football (when there is a single dominant color, especially white). If I follow your BU ratings, I would not touch anything under 80%. I also purchased 3 BenQ (1070 and 2050) based on your recommendation just to find out how terrible brightness uniformity is. I kept the best one of the 3 as a cheap transition for better, more expensive unit. And as I mentioned before, there is virtually no DLP projector around $1000, or even $1500, that has 80-85% BU. The 2 projectors you quoted are far more expensive. @ SimonBG ... thanks for the feedback. Yes, I said the two models I referred to were high priced, and that is essentially the issue. There is too much in your comment to respond to in this Comments section. I will write an article on Brightness Uniformity and post it in the Tech Center section on the home page sometime next week. Simon, I've been watching your comments with some bemusement. You are obviously passionate about your dislike of low brightness uniformity, which is fine, but brush off rainbow artifacts as less important. As it happens, I feel the same way about rainbow artifacts. I hate them, I see them when others can't, and I will not buy a projector that has that flaw. On the other hand, I don't mind low brightness uniformity. But the bigger difference between us is that I realize that others don't feel the same way. And I would never say something like your comment that low brightness uniformiy is "a problem, much bigger than rainbow artifacts," without out adding "For me." For you, that's true. For me, it's not. For me, rainbow artifacts are a far bigger problem, and brightness uniformity levels hardly register. So, along with Ted Nunn, I would urge you to let go of this bone, recognize that it's a waste of time to argue about which shortcomings in projectors are more bothersome, and just avoid the ones with the shortcomings that bother you personally.